Since its founding in the early thirties by a resourceful and quality conscious inventor, Beugler Stripers has been operated by proud family craftsmen dedicated to turning out the finest paint striping and lining tools, which are used on Model A Fords and modern Rolls Royce automobiles, mural art, furniture and ceramics – anything that needs quality paint striping and lining applied easily and accurately. The company’s tradition of excellence and pioneering spirit has survived unbroken for three generations, just as the spirit of integrity and product quality ruled the founder, a gifted and colorful Tennessean named Samuel Beno Beugler. Born in Dayton, Tennessee in 1890 and later moving to McAlester, Oklahoma he early showed his mechanical gifts by building the first automobile in the area, before any factory produced models arrived. Then, in 1913 S.B. 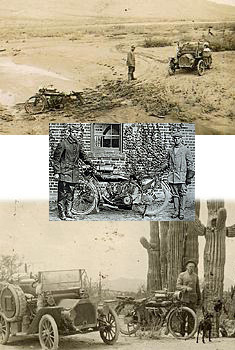 Beugler rode his Indian motorcycle across the U.S. to the West Coast and back, when roads were mostly dirt and mud, or boards crossing the sandy desert of the southwest. Later serving as mayor and fire chief of Roff, Oklahoma, he built one of the first house trailers. Moving his family to Los Angeles in 1929, he established Beugler Auto Reconstruction where he provided mechanical servicing, welding, body work and painting. Although he did some of the dagger brush pinstriping himself, he hired others as well, and out of necessity he developed a unique and revolutionary new painting tool that didn’t drip, provided paint on demand and executed clean, fast and accurate paint lines (the same reasons for the Beugler’s popularity today). In 1933 S.B.Beugler began manufacturing the Beugler Striper while a friend did the distribution. No castings or automated machinery was used, but attention to detail assured consistent, highest quality – the same quality produced and guaranteed today. 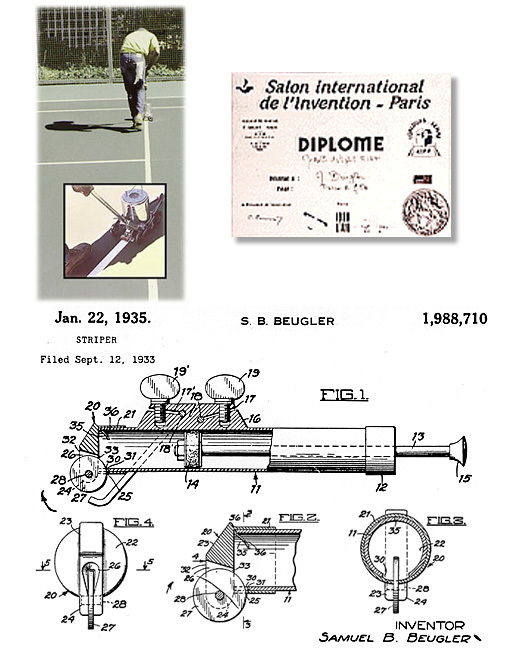 He continued manufacturing the Beugler Striper, and in 1949 expanded his line by inventing the Mark-A-Zone -a unique, non-spray, floor, parking lot and game court striper. 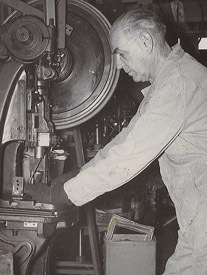 Moving to the company’s present location in 1950, he designed a unique dual-motion paint shaker/mixer in 1954. In 1935 Samuel B. Beugler patented his design. Under his sound management the company steadily expanded right up to S.B.Beugler’s passing in 1966, and even today continues to grow and receive critical acclaim internationally for his Beugler Striper.